Disasters can occur at any time, and whether they are natural or man-made, often the damage can be very devastating to the property, and this is why the disaster restoration Fishers specialists with 911 Restoration of Indianapolis are experts at both restoring homes and the peace of mind for those that live in them too. 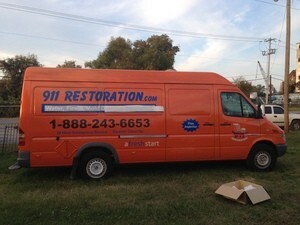 With 911 Restoration Indianapolis on the job, you can rest assured knowing that they will restore your home back to its original condition in no time. Indianapolis has a history of tornadoes, which can cause quite a bit of damage to your property. 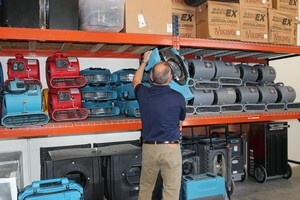 The cleanup from a tornado may seem like a daunting task, but the Indianapolis disaster restoration crews have the equipment to handle it all. When you make a call to 911 Restoration Indianapolis, our disaster restoration crews respond with great urgency in these desperate times, and will be at your door within 45 minutes of receiving your call. We keep our offices opened 24/7/365, so you can call us day or night to get immediate assistance with your disaster restoration project today! When a disaster such as a strong storm or tornado tears through your property, our call center will dispatch trained crews to begin the disaster restoration. Our technicians are trained experts and carry with them the newest and most reliable equipment to get the job done right the first time. We have been restoring damaged homes for years, so we know how to complete even the most in-depth jobs. The disaster restoration crew is fluent in all types of restoration jobs, with water damage reconstruction being at the top of the list. When a disaster occurs many times water is involved. No matter what the situation, our disaster restoration Fishers team with 911 Restoration Indianapolis knows how to make your home beautiful again, so give us a call today! It is never fun to deal with the financial side of home restoration process. In order to help make it easier, we offer competitive prices and work with all major insurance companies. Our disaster restoration staff will handle the entire insurance process. You can call us anytime if you ever have any questions or concerns about the claim, and we will do everything we can to help. The disaster restoration team in Indianapolis is IICRC certified, to show our dedication to our customers and our commitment to the home restoration industry. We are also licensed, bonded and insured, so homeowners can feel confident that they are protected when we are on site. We understand that being faced with a home disaster situation can be stressful. Although the circumstances are unfortunate, 911 Restoration Indianapolis is happy to help you through this time. If you have just experienced a home disaster, call our disaster restoration Indianapolis team with 911 Restoration Indianapolis today!